Enter to Win $25 Bill Credit! 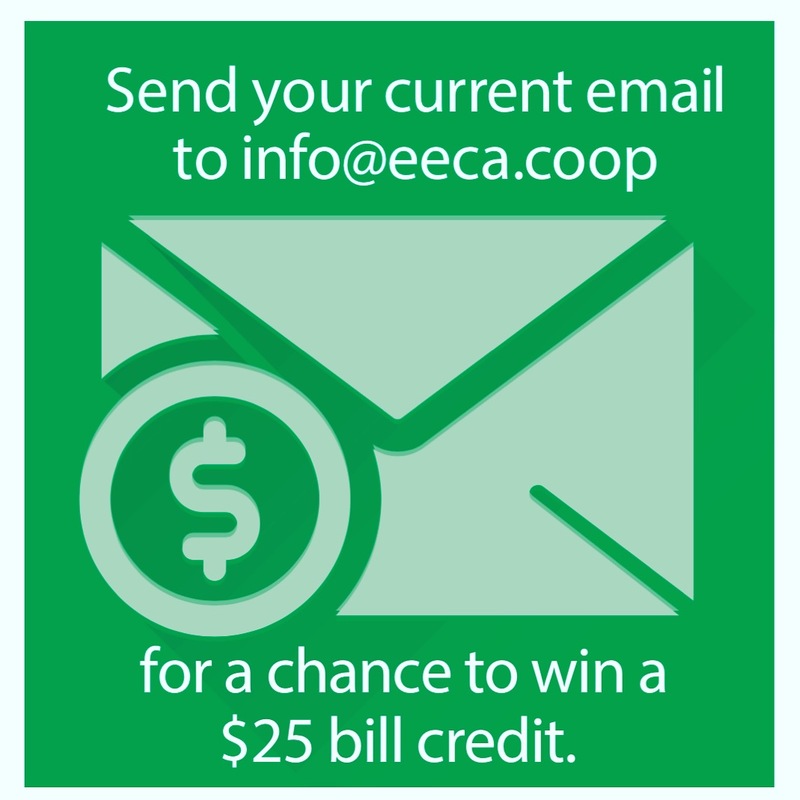 For the month of August, submit your e-mail address to info@eeca.coop to be entered in for a $25.00 bill credit drawing. Submissions for chance to win are open until close of business on August 31st, to be applied on September bill.